Belfast and Queen’s University Belfast welcomes geoENV participants to our lively and historic city. 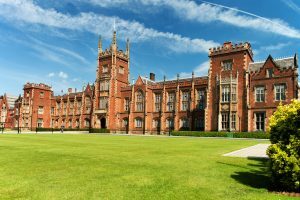 Queen’s University Belfast was founded by Royal Charter in 1845. One of three Queen’s Colleges in Ireland, with the others being in Cork and Galway, it became a university in its own right in 1908. The magnificent main building was designed in 1849 by Sir Charles Lanyon. The campus is located in leafy south Belfast close to many restaurants, bars and shops. 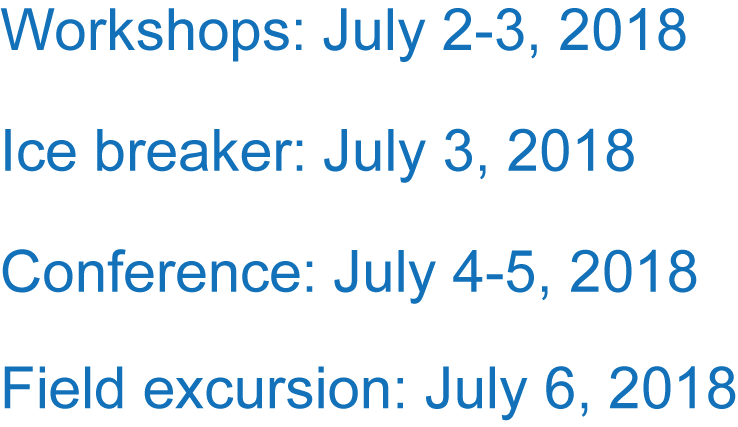 A wide range of accommodation is within easy walking distance. 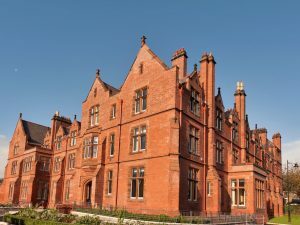 From the beginning, Queen’s has enjoyed strong links with the city of Belfast and is a 15 minute walk from Belfast City centre. 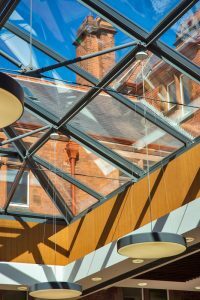 The conference will take place in Riddel Hall, which hosts a number of lecture rooms and the Isdell Courtyard, a multi-functional space with a glass roof. This will be the ideal breakout area to view posters and discuss exciting new research ideas over a coffee or a cup of tea.